We will be back on Thursday 3rd of January after a little break. Thank you to all our lovely customers and regulars who have dropped by and made this festive season special. Have a fantastic day tomorrow and a Safe and Happy New Year. The Kiozwi Weekend looks like this for the first weekend of December! Gisborne Old Time Market is still on at this stage so ... If you are in Preston on Saturday or Gisborne on Sunday drop in and say "Hi!" Have a wonderful weekend all! 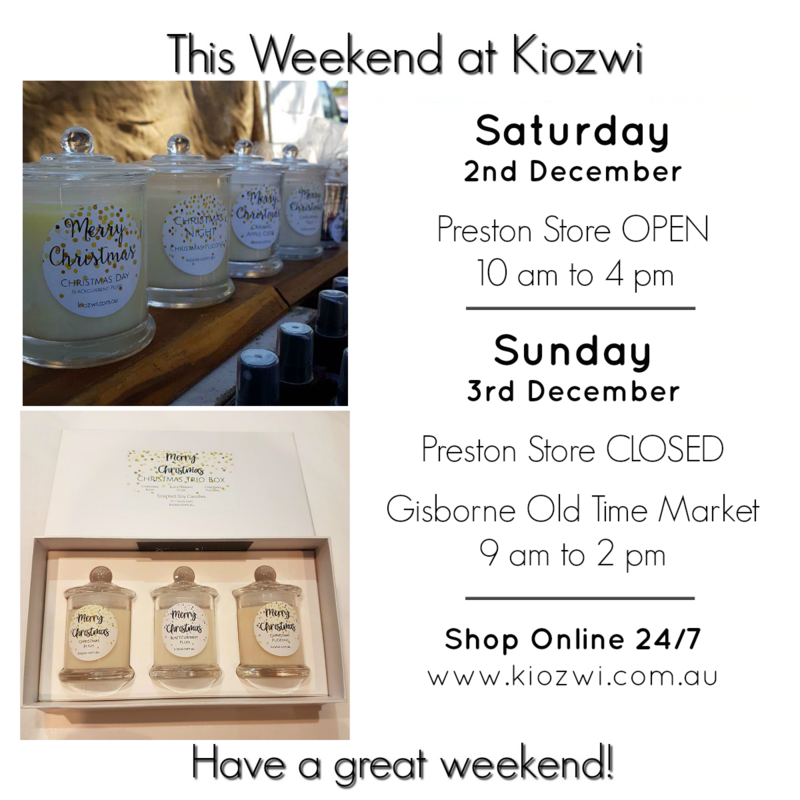 The weekend for Kiozwi looks like this: Our Preston store is open both Saturday and Sunday this week, and we will be at Kingsbury Drive market on Sunday for all our lovely regular customers to pick up their wonderful Kiozwi goodies. Have a great weekend all!